THE GIRLFRIEND OF a man shot dead by police near Minneapolis, Minnesota posted a Facebook Live video in the moments following the shooting. The man, identified as Philando Castile, was initially pulled over by St Anthony Police because his tail light was broken. His girlfriend and four-year-old daughter were in the car with him. In a nearly ten minute video his girlfriend, named as Lavish Reynolds, said that he had been asked to present his driver’s licence and had told the officer he was carrying a gun. She says he was fully licenced to do so and informed the police officer of this. The video showed a woman sitting in a car with a man whose shirt appeared to be soaked in blood and who was quietly slumped in a seat. The woman is later ordered from the car and handcuffed on the ground. After a brief break, she is shown in the backseat of a police car. The St. Anthony Police Department issued a statement this morning saying the man had died. The police department statement did not elaborate on what led to the shooting. The shooting has led to outrage across social media, with the original Facebook post being shared thousands of times. It comes just a day after a black man was shot and killed outside a convenience store near Baton Rouge, Louisiana. According to a Guardian database, Castile is the 561st person killed by police in the US in 2016. It is not yet known whether Reynolds is still in police custody. 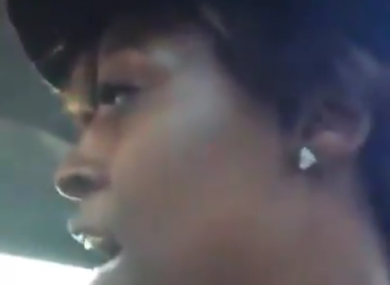 Email “Woman posts live Facebook video after her boyfriend is shot dead by police”. Feedback on “Woman posts live Facebook video after her boyfriend is shot dead by police”.